Please be aware that the nomination process is now closed. The International Relations Office is pleased to announce the launch of the Women Global Chair Scheme 2019/20: Celebrating Women in Academia. Building on our successful Global Chair programme, the University would like to shine a spotlight on women in academia through the funding of international visiting professorships. The call commemorates the centenary of the 1918 Representation of the People Act, which extended the right to vote to women. Continuing University-wide initiatives such as the Celebrating Women in STEM, the Women Global Chair Scheme 2019/20 aims to attract distinguished international visiting professors to enrich the celebration of women academics across all disciplines, by providing role models to students interested in academic careers and encouraging early career women in academia. 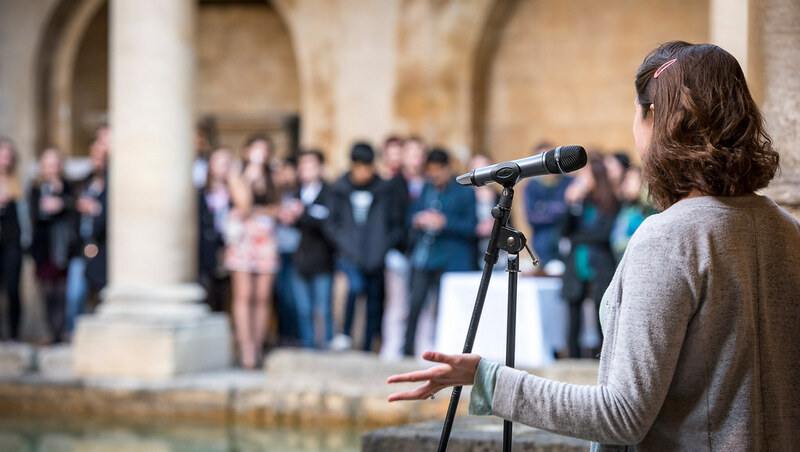 The Global Chairs will engage in high-profile research and networking activities while at Bath, and will support the University in developing strategic international networks and long-term institutional partnerships. Decisions on awards will be made by a selection panel chaired by the Pro-Vice Chancellor (International and Doctoral), and comprising of the Pro-Vice Chancellor (Research) and the Academic Director of International Partnerships. We strongly encourage nominators to discuss their proposal with us ahead of the deadline. Please contact the International Relations Office internationalfunding@bath.ac.uk for more information.